The old Nexus 7 is already one year old and we were all expecting a new device that will continue the series of Nexus. 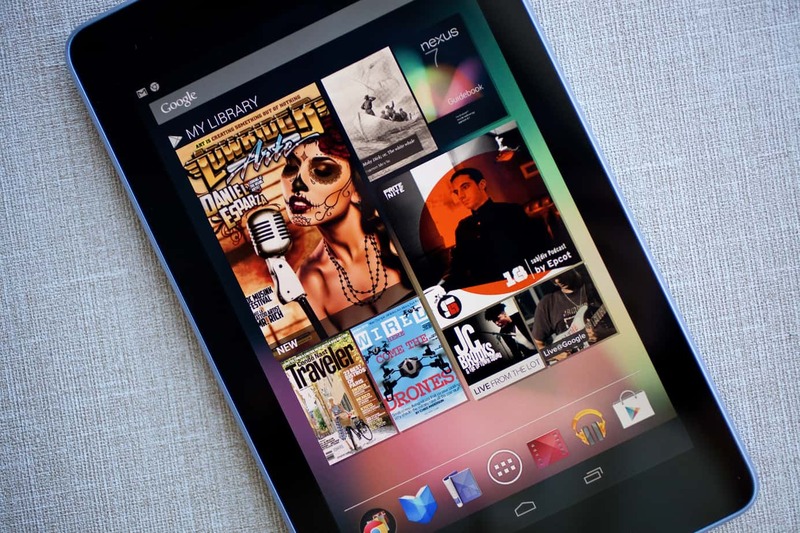 It seems that we will have soon a new model of Nexus and Google and Asus will be back on the first pages. The pictures were introduced by Bluetooth SIG and we can see that the device has a simple black color. The device will have interesting specs if they will be confirmed. We’re talking about a 7” LED-backlit capacitive multitouch screen which will allow you to carry it and enjoy multi media everywhere you go. The processor will be a Qualcomm Snapdragon 600 Quad Core. Also the device will have Wi-Fi features for a simple and quick connection to Internet. The model number will probably be K009, code which is announced by the Bluetooth filing list and FCC also. The data between the two sources is not matching perfectly, but we can see that they are close enough for us to make a clear image of the device. 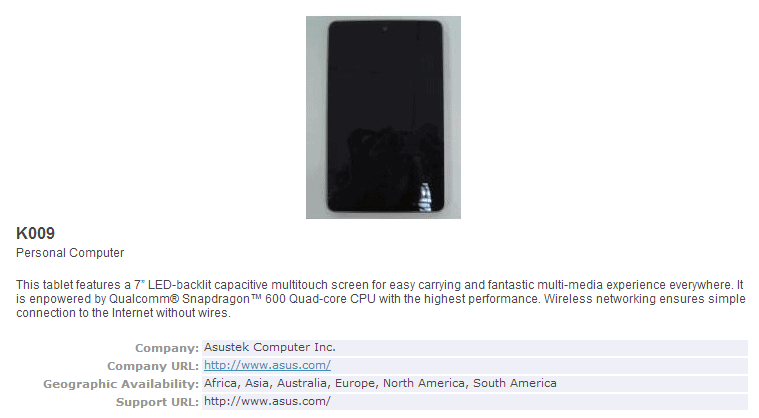 the tablet made by Asus will be proud to have the same name as its predecessors, Nexus. The FCC is announcing that the processor will be a Snapdragon S4 Pro, spec that is mismatching the information from the Bluetooth SIG. The battery will be a 4000mAh model and the device will probably have LTE support. Also, we can see front and back cameras.